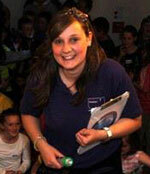 Our latest guest post comes from Beth Frazer, Visitor Guide at Ulster Museum. From the seedling of an idea in a small team of Visitor Services staff, sleepovers at the Ulster Museum have grown into a highly sought after event for both families and organisations. We have so far delivered this unique event to over 800 children and adults, with another 3 sleepovers fully booked for 2012. The events of course are hard work for us staff: sleeping on the floor and running around with families all evening can be exhausting and isn’t part of our usual job description – but they’re definitely worth the hard work. Overhearing children discussing how it is the “best night of their life,” and seeing families create memories which will last a lifetime adds a whole new dimension to working in the museum. The night kicks off when our doors open to 90 ticket holders. Following the excitedly charged ‘Big Welcome’ everyone splits into teams to head off for the evening’s fun, educational activities. These can include Living Histories, Fossil Making Workshop, Discovering Nature, Archaeology workshop, a live reptile show and a torch lit tour of the museum, hunting for dinosaurs and becoming Ulster Museum honorary palaeontologists! At midnight, the lights go out as everyone snuggles into their sleeping bags overlooked by our triceratops. The morning brings some tired looking faces over breakfast, but is eagerly followed by our last activity before we all say a BIG goodbye. The aim of these events is to create a unique family experience, bringing new visitors to the museum and helping children learn in a fun way. We are creating opportunities to visit the museum after hours in a way that most museums in Northern Ireland have not yet explored. The feedback is fantastic and we have had quite a few second bookings, which speaks volumes. Ultimately, it’s thanks to the commitment and hard work of our small team that we deliver such amazing work. 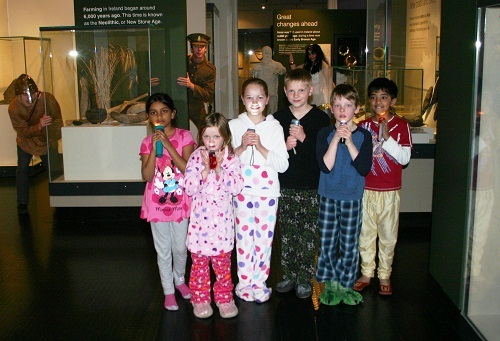 Our sleepovers have been nominated as 2012’s Family Event of the Year, so we hope in the future this can become an award-winning event in our award-winning Museum! If you’re in Northern Ireland, perhaps we’ll see you for your own sleepover adventure on January 18, 2013? Beth Frazer is a Creative Imagery graduate from Huddersfield University. She has been a visitor guide at Ulster Museum for 3 years, works as part of the events team and is key co-ordinator of Nights at the Museum. Thanks, Beth! If you’re reading this and you’ve got something to say about any aspect of audience development, after-hours event planning or marketing for arts and heritage venues, I’d love to publish your guest posts too. Drop me an email at rosie@culture24.org.uk. 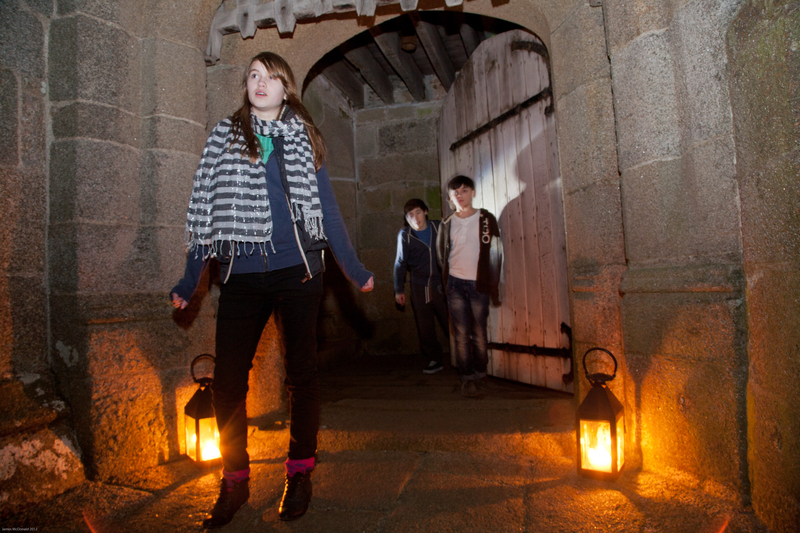 Today’s guest post comes from Charlotte Fear, Event Manager South West for English Heritage, who explains the planning that goes into the sleepover events she coordinates at Pendennis Castle in Cornwall. Indeed, there are lots of questions raised and lots to consider when planning this kind of event! Let me start by outlining what our sleepover events are about, and what guests can expect. We offer two types of sleepover events – one for adults only (16+) and one for families (children 8+). 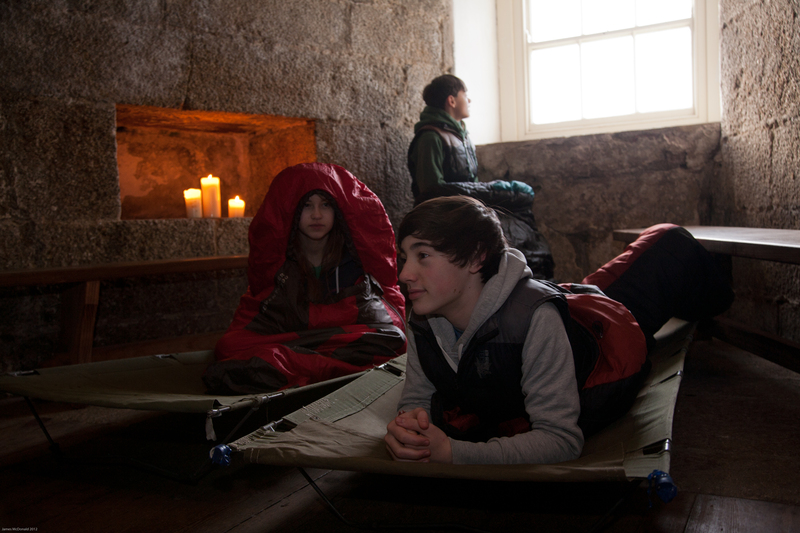 Our recent family sleepover was the first kind of this event ever to be held at Pendennis Castle – and the first time people had slept over in the Castle Keep for many centuries. The event takes place in the magnificent historic Keep. 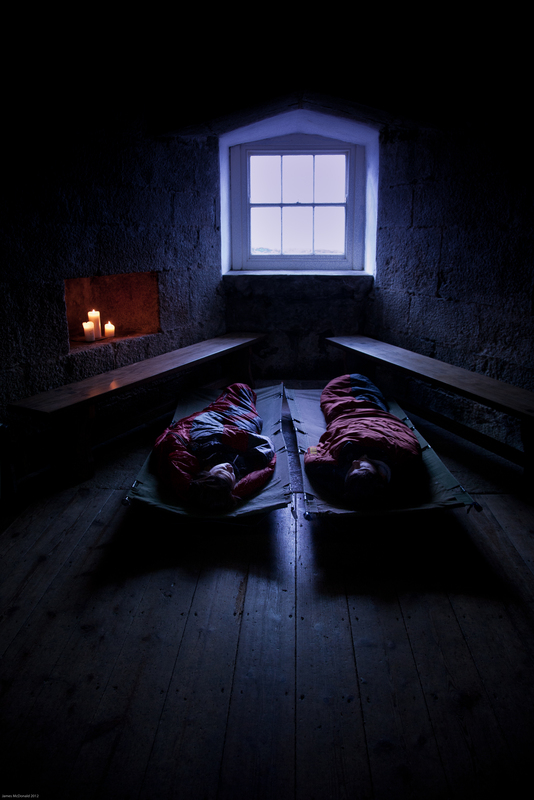 Set up in the large ground floor room are canvas camp beds where people will sleep, and next door to this an adjoining room with a fireplace where people will gather at the start of the evening and where supper will be served. We offer two slightly different experiences for the adult and family events, but both will include supper and breakfast, a twilight tour and storytelling round the fire. For families, we offer interactive activities including a soldier’s drill game, which always promises a lot of laughs for children and adults alike! Planning – ask for help! So, where to start with planning? As with any event, this is key and even more so with planning a sleepover. Attention to detail is everything. From heating to eating to sleeping, it all needs to be thought about and carefully planned. I ensured that I consulted with all the relevant parties when planning my sleepover – both colleagues from various departments in the organisation and others who had held similar events at other venues. This knowledge helped me to compile my ‘to do’ list, and broke down everything I needed to think about including all health and safety aspects of the event, catering, structuring the event and deciding what activities to offer, staffing – the list goes on and on! Once everything is in place, guests arrive. What happens then? For me, this is one of the most important aspects of this kind of event – the welcome, and first impressions. No doubt, people have been gearing up to this event for several weeks, they’re excited and they can’t wait to see what’s going to happen. From the very moment they arrive the ‘experience’ begins. We help to create this by floodlighting the Keep (which looks fantastic at night), and having a historical character hosting the evening and welcoming our guests. The host is an essential part of the event, helping to break the ice and put people at ease. The real impression can be made, however, when they enter the Keep itself – the building where everyone will sleep and where we serve supper. We light the fire and place church candles round the room, and welcome our guests with warm punch and nibbles. The food you’ll offer is another really important part of the event to consider, and something people always remember about their experience. We offer home-made beef bourguignon followed by sticky toffee pudding with Cornish clotted cream for supper, which always goes down a treat! Don’t forget also that the evening meal is just one part of the experience – hot chocolate round the fire and a traditional cooked breakfast in the morning are also part of the offering and always well received. Another important point to be aware of is to keep your guests informed as much as possible when holding a sleepover event. I’ve discovered over the years that people generally like to know what’s going on – within reason! Of course, we don’t want to give away too many surprises, but I found it useful to ensure that everyone was briefed at the start of the event about what was going to be happening and when. Following on from this, I would advise a similar approach with your event marketing too. Identifying your market and the angle you are going to use to sell this event is essential. Be clear with what you are offering as well – a lesson I learnt here perhaps was to have a more defined marketing message. Indeed, the event almost sells itself in the fact that it’s such a unique experience; however, I felt I could perhaps have taken advantage more of the spooky elements of the experience, and the potential for things to ‘go bump in the night’! On the subject of lessons learnt and things to take forward for next time, I’d also say that there is room to add more authenticity to the experience. We already include some aspects of this with our historical character who hosts the evening and the authentic-style goblets and wooden bowls we use to serve supper. However, I think there’s room to build on this – costumed medieval staff being one idea possibly. Indeed, you could go all out here with authentic beds, food and even facilities! However you decide to plan it, this is a truly special and unique experience. 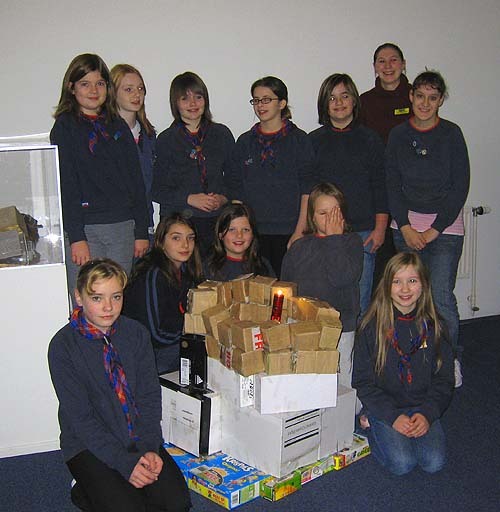 This is our first year of running sleepover events and we look forward to building on the success with more events planned for later on in the year and across other English Heritage sites including Portland Castle, Belsay Hall and Kenilworth Castle. If you’d like to write a guest post or case study for this blog about any aspect of event planning or marketing in arts or heritage venues, please drop me a line at rosie@culture24.org.uk or call me on 01273 623336. Today’s guest post comes from Jacqui Fortnum, Public Programmes Manager for the John Rylands Library in Manchester, who describes the exciting Doctor Who-themed sleepover they’ll be running for Museums at Night this year. First, a confession: I am a lifelong Dr Who fan! Imagine my glee when I shared this idea with my colleagues, and they responded with overwhelming enthusiasm and a stream of fabulous ideas for activities! With rights to show both Silence of the Library and Forest of the Dead sorted out with the lovely BBC, we became so over-excited that we decided that a single event was not enough and went on to run a Friday evening event for grown-ups, followed by a Saturday afternoon event for families. And so, with the making of impossible journals and sonic screwdrivers, and scary torch-lit tours of the Library – complete with increasingly hysterical messages delivered over walkie-talkies and spooky sounds issuing from hidden corners – both we and our audiences had a thoroughly marvellous time! And so to 2012 – Allons-y! Reading through the visitor feedback from last year’s events, I was struck by the number of times the idea of staying in the Library overnight came up as a suggestion … and so the brain fever began again – a sleepover! Could we? Should we? YES! So, as we approach the date itself, we’re excited and just a little bit nervous – but thanks to the support of Rosie at Culture 24 and the helpful suggestions from teams at other venues who have run sleepovers, we are confident that an excellent time will be had by all! 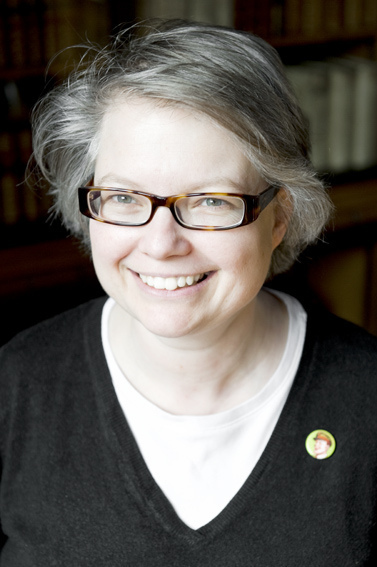 Jacqui Fortnum is Public Programmes Manager for The John Rylands Library, The University of Manchester. She says: I’m responsible for the development, marketing and delivery of exhibitions and events at the Library – working with audiences and colleagues to create a (hopefully!) imaginative, engaging and inspirational programme. I really enjoy the creative process and having the opportunity to explore the possibilities offered by our fantastic building and collections, but my real job satisfaction comes from meeting our audiences and visitors – it’s a rare privilege to turn your ideas for new activities into the reality of exciting and enjoyable events, or engaging and inspiring exhibitions. Thanks for sharing your enthusiasm, Jacqui! Could your venue run a Sky Arts-subsidised Museums at Night sleepover? We’re pleased to announce that for the second year running, Sky Arts are the broadcast media partners of the Museums at Night campaign. 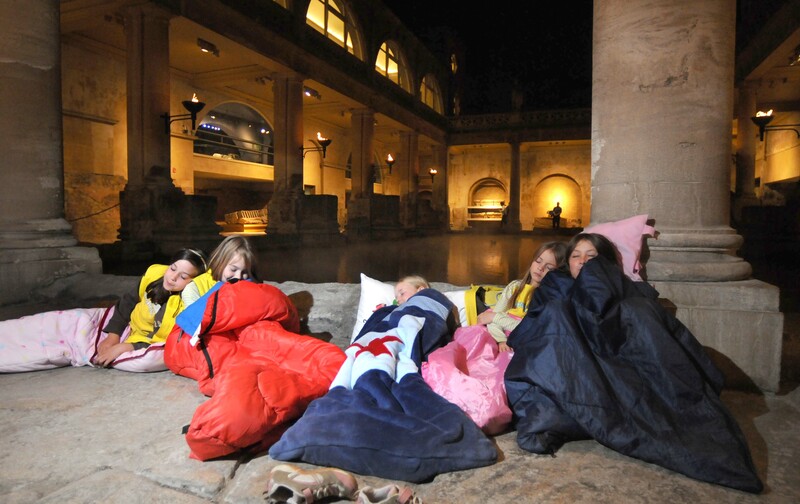 Following on from the success of last year’s subsidised sleepovers, Sky Arts are again offering financial support to help arts and heritage venues stage sleepovers over the weekend of Friday 18th – Sunday 20th May 2012. Sky Arts will subsidise a ticket buy, enabling museums, galleries and heritage sites to offer discounted sleepover tickets priced at £3 to the public. So if your sleepover tickets would usually be priced at £15 each, you would receive £12 per ticket from Sky, and your visitors will only have to pay £3 each. We’re not looking for definite commitment from venues at this stage – a sleepover takes careful planning and can involve numerous staff and volunteers. However, we’d simply like to gauge how popular this opportunity may be. If this is something you would be interested in, please email me (rosie@culture24.org.uk) by the end of the day on Friday 9th March with your expression of interest, telling me the cost of your sleepover tickets and how many people you could host. Urgent call: Museums at Night venues, who wants a TV camera crew? A very special last-minute opportunity has come up for one Museums at Night venue to appear on TV! Please read on and make sure that your venue is able to meet all the TV crew’s requirements before expressing your interest. ITV’s Daybreak, the breakfast television programme with Adrian Chiles and Christine Bleakley, are looking for a an exciting and atmospheric museum in England to feature live on air this Friday morning for a special Museums at Night item they are planning. The idea is to film children having fun in a museum, interacting with exhibits, maybe doing an event that reflects your own Museums at Night event, and then snuggling down in sleeping bags for a sleepover. It doesn’t matter if your museum isn’t actually putting on a sleepover for your official Museums at Night event – the programme would make it clear that the sleepover recreation is just for the sake of Daybreak only. Filming would be required late Thursday evening from 8pm til 10pm – and they would then need access from 5.30am – 8.30am on Friday morning. accessible exhibits, so that they can record children interacting with them. They will also need the museum to supply 20 children to participate in the filming – so you will need to have links with local schools or groups. It would be a bonus, but not essential, if your venue looks classically Gothic, as seen in the Night at the Museum films. This is a fantastic opportunity for you to promote your museum in a positive light to Daybreak’s morning audience of up to a million and a half viewers, and be part of the Museums at Night PR campaign! If you can fulfil all of these requirements, please call PR coordinator Pandora George on 07729 469220 by 12 noon tomorrow, Wednesday 11th May. 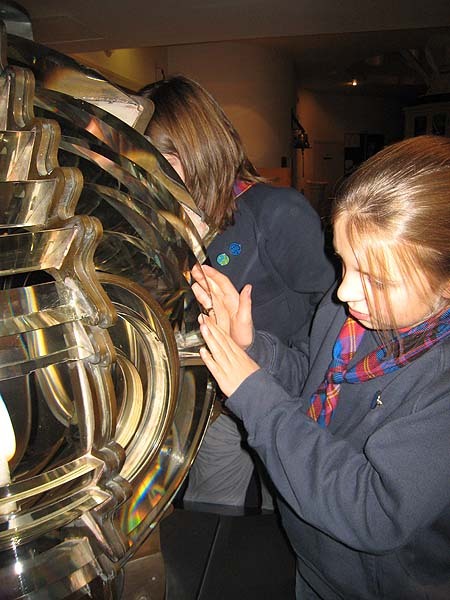 The latest in our series of guest posts comes from Virginia Mayes-Wright, the Director of the Museum of Scottish Lighthouses, who shares what she’s learned through years of running museum sleepovers. I’ve always run sleepovers in museums, and I’ve slept in some really odd places. 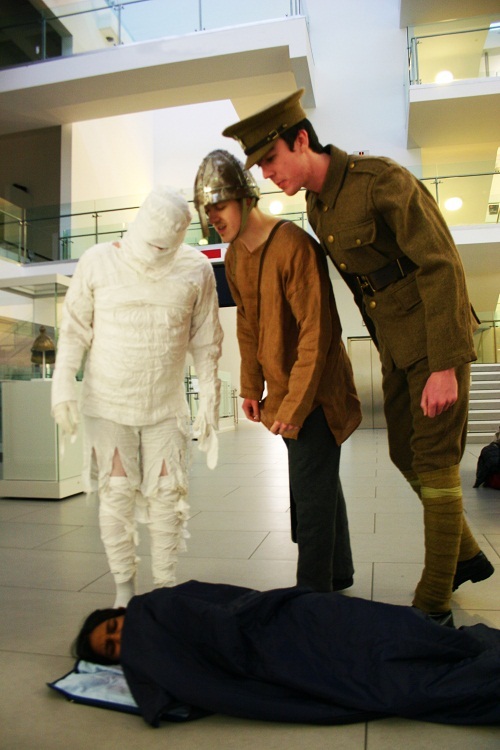 Any museum can run a sleepover, it just needs a bit of planning, the right group for you and a bit of floor to sleep on. I tried to join the British Museum’s Young Friends at the age of 16, but was told I was too old – so I asked to volunteer. My first museum sleepover there was an incredible experience, opening my eyes to what a gallery could be like at night and how the space could transform. Even a big space such as the British Museum’s Egyptian Sculpture Gallery can feel intimate: a museum at night feels like it belongs to the group inside it. And what better way to get kids interested in museums and galleries than to give them the chance for it to be their space for the night? 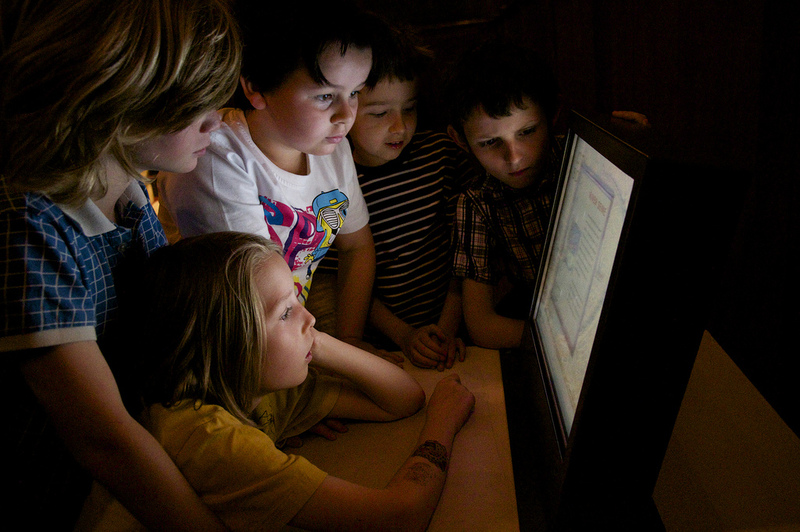 Sleepovers at the British Museum involve about 250 adults and children in families. They are split into smaller groups of about 50 to do a series of activities in the evening and the morning. These normally finished with building something gigantic. The Viking long boats were my favourite, probably because we had to stick them together at the surreal hour of 1am after the kids went to bed. The Museum of Scottish Lighthouses is a lot smaller. We have a fantastic museum building but it’s much smaller-scale than the British Museum. In fact, as we have so few staff I run sleepovers on my own. So we target a completely different type of group to sleep over, one that I can manage and who already have a keen group identity. This tends to be local Guides, Scouts, and Boys Brigades etc. They come in a small group, already know each other, have a uniform and a strict sense of discipline within the group. The leaders are also very aware that the group is their responsibility, and they are used to sleepovers. Depending on the group I plan four or five activities in the evening at about 45mins each. I set up the activities in different spaces in the Museum so we have to physically move the group around. This getting up and moving provides a beginning and an end to the activities, even if it’s simply moving from one end of the room to another. It also keeps messy activities contained (although glitter will always travel). The activities include one that makes the kids use the artefacts, a craft activity giving the kids something to take home and remember you by – and there is always storytelling. Every museum has good stories: they’re what we are about. There is nothing better than telling the best stories with the right amount of drama at the end of the night. It also puts the kids to sleep quicker. We also provide a snack for our groups in the evening, and breakfast in the morning. As our groups sleep on our café floor, this is really easy to manage. It also means that the kids don’t bring too much food themselves; although there is always the midnight feast! 1) Invite the right target group, and make sure they are prepared for the experience. Whether it is families or Guides, you need to know how they are going to interact together, with you and the objects. One museum sleepover involved a school group who were nothing but trouble for the whole evening because of their ‘out of school on a trip’ attitude. 2) Plan and design your activities to fit the group. I print out time sheets for the event showing each activity and hand them out. You can always alter a plan if necessary, but do start with one! I always let the group have time to get settled in when they arrive and give a brief welcome. I plan a break after the first two activities, and one at midnight for a midnight feast. Taking food breaks mean that food tends to stay in one area, the one you are sleeping in. Having seen what we can do, one of the local Guide groups now asks for us to help them earn badges. My worst sleepover was a Boys Brigade group who I presumed would enjoy making up scary lighthouse stories. But there is always a way to rescue the situation, and we ended up playing hide and seek in the lenses. 3) Always carry a torch, and keys to the building. Know where the fire alarm is, and generally be prepared for anything that could go wrong. Being stuck in the dark in a gallery because something has turned off is no fun. 4) Finally, avoid sleeping bag races. Most objects on open display in galleries are larger, heavier and more dangerous than children. If you think the kids may need time to let off steam, design a game to exhaust them. Virginia Mayes-Wright is the Director of the Museum of Scottish Lighthouses (www.lighthousemuseum.org.uk), and is happy to answer questions about her sleepover experiences. Her phone number is 01346 511022 and her email address is director@lighthousemuseum.org.uk. You can also follow the museum on Twitter here: @LighthouseMus.